“I won’t give up, no I won’t give in. Until I reach the end, then I’ll start again” – Shakira, Try Everything, theme song from Zootopia. I’ve chosen this song as my theme song and theme phrase for 2018. 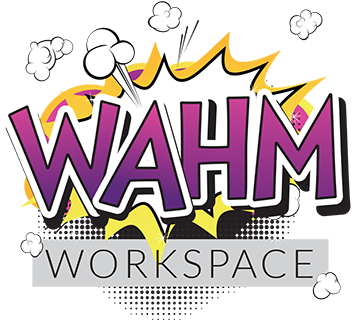 Both here at WAHM WorkSpace, and in my personal life. I’m proud to say that a week into the new year (when I started writing this post), I was fairly well on track from a personal stand point. We did our first Parkrun as a family on 6 Jan 2018. I’ve cleared and donated a bunch of toys, and we sorted and donated a bunch of things from our Christmas stuff as well. All on the path towards trying everything to have less clutter and live a more minimalist lifestyle. I did a social media and screen detox for a week and I really have found that the change in focus is phenomenal. I deleted the Facebook App from my phone!! In business I’ll admit to having a harder time with Try Everything. I made the commitment on Facebook just before the Christmas holidays that I was going to open a small space in my home today. It took me a few days to get into the zone, but I have sent out newsletters with information on the small space and I’m feeling a bit better about that. I’ve been home with my children with very little business focus for 3 years now, and it’s hard to get my head into the game again. I am trying to surround myself with other working moms and bosses in order to get my head in the right space, but I find myself falling back into the ease of distraction. If you are interested in joining us in the small space in Umbilo, please sign up here. Specify that you are interested in the small space launch when signing up. Our general newsletter will go once a month, and we will send irregular mails about our niche opportunities as they arise. Anyone who signs up as a Member during our Small Space phase is immediately considered a founding member with all the related benefits. I’ve spent the last two weeks working on learning to use MailChimp, SurveyMonkey and Google Analytics best. It’s been a steep learning curve, but I’m hoping to just get better and better at doing these things for my business. My goal I’m committing to here, is to update the blog at least every 2 weeks, and ensure that you are getting both valuable coworking information and news, as well as updates on our space and what we’re doing.